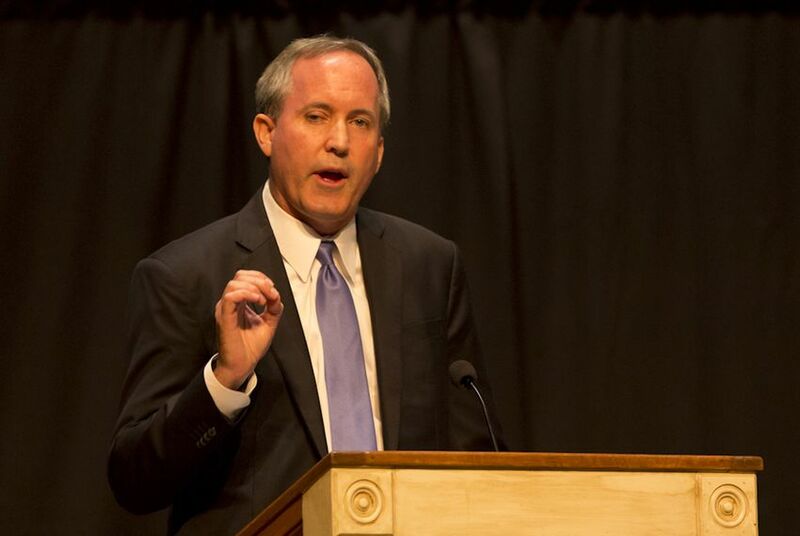 In Texas' latest salvo against Obamacare, Attorney General Ken Paxton has filed suit over a fee states must help cover to pay for the sweeping federal health reform law. Texas joins Louisiana and Kansas in suing the Obama administration over the Health Insurance Providers Fee, which Paxton says cost Texas $86 million in 2013 and about $120 million per year since. Texas feels the effect of the fee, levied on health insurers, because it reimburses the companies that operate with public funds in the state’s privatized Medicaid program. “This threat to cut Medicaid funding to Texans unless the state continues to pay hundreds of millions in taxes to Washington amounts to the very ‘gun to the head’ the Supreme Court warned about in earlier rulings on Obamacare,” Paxton said in a statement Thursday. It’s the latest in Paxton’s long list of lawsuits against the federal government, and it comes on the heels of a recent defeat of an Obamacare challenge at the Supreme Court, which has twice upheld the federal health law. State lawmakers debated the validity of the fee this year as they were crafting a new budget. A handful of Republican legislators briefly entertained the possibility of not reimbursing the private insurers who operate in Medicaid, the joint state-federal insurance program for the poor and disabled, for the health insurance providers fee. They ultimately voted to pay back the Medicaid managed care organizations — after taking the opportunity to lambast the Affordable Care Act, also known as Obamacare. Now, Paxton says Texas should get its money back, arguing that the state should not have had to pay the "unconstitutional tax to Washington" in the first place. The lawsuit was filed in federal court in Wichita Falls. The states are asking for the fee to be ruled unconstitutional and to be reimbursed for the funding already paid to the federal government in previous years. Federal health officials declined to comment on an investigation. They directed questions to the Department of Justice, which also declined to comment. Supporters of the Affordable Care Act said Paxton's lawsuit appeared to be politically motivated because the federal fee is similar to an insurance premium tax levied by the state. "Texas leaders have challenged this particular tax because it was contained in the Affordable Care Act," said Stacey Pogue, a policy analyst for the left-leaning Center for Public Policy Priorities, in a statement. She added that state Medicaid premiums "always incorporate the cost of doing business (including any taxes or fees), and we don’t normally hear any special grumbling about it."